Their music is best described as a "tasty old school vibe" rolled into a feel-good mixture of folk, blues, funk and rock. The Sets Band was founded three years ago amid the beatings of drums and blaring guitar riffs in an old recording studio. Born out of a lifelong ambition shared by the four members Josh (vocals), Jin (bass), Harold (drums) and Marcus (guitar), the band spent years honing their individual musical crafts,weaving post-punk, funk, blues and indie influences with mainstream hip-hop beats before finding their sound. 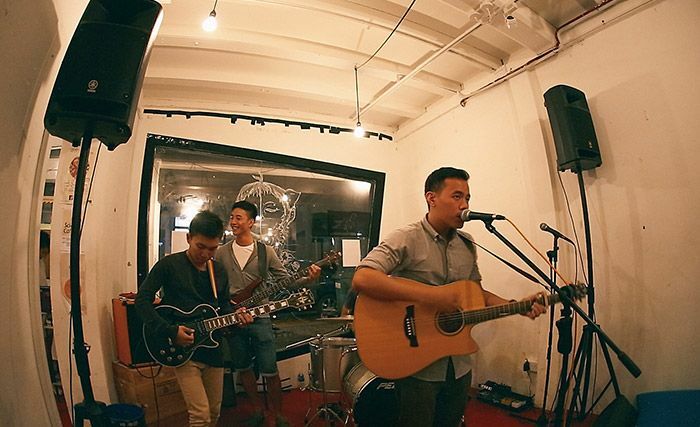 Some of the more notable events they have participated in are Timbre Rock & Roots (2011), NOISE Singapore (2011 & 2013), IGNITE! Music Festival (2011) and Fred Perry Sub Sonic Live (2012), the band also played an opening set at The Kooks concert when the UK band performed in Singapore last year. The Sets Band's self-produced debut EP Base holds 40 minutes of cleverly written, anthemic tunes.